Alienated is slightly different to your normal alien invasion story, since the aliens arrive on Earth peacefully. Or so it would seem. It’s unclear exactly what Aelyx and co.’s motives are to begin with, but the clues and events slowly begin to build. I think Melissa Landers did a very good job of slowly revealing what was really going on. It was enough to keep me guessing and to keep me interested in the story. I really liked the whole exchange student thing as well. Watching Aelyx become integrated into the human world was entertaining, and at times pretty hilarious. His adversion to human food was great.I wasn’t too sold on the background of the L’eihrs’ race (or species?) though. I could have done with more explanation on that, since when Aelyx explained it to Cara it felt like he was throwing information at her, without including many examples. Maybe next time a show-and-tell could work.Cara was an absolutely fantastic character. She was quirky and cute, and I loved how intelligent and observant she was. Cara runs a blog, and she kept it updated regularly as she told her (millions of!) subscribers about her experience with hosting an alien. That’s something I would do if I had an alien staying with me. She was very enthusiastic and passionate about this journalism hobby of hers, and it was lovely to see.Aelyx, however, wasn’t great. I just didn’t feel like I was able to connect with him, and his chapters were only intriguing to me due to the mystery of his mission on Earth. If he hadn’t been an alien, for example, I would have been totally bored during his parts.I’m rather conflicted when it comes to the romance between Aelyx and Cara. I liked a lot of their scenes, especially one particularly steamy one, but I can’t say that I’m a Carlyx (is this going to catch on?) shipper. I didn’t feel much chemistry there for the most part. I did, however, enjoy the fact that their romance builds up over a period of months. There’s definitely no instalove here, although there are some time jumps which I think might annoy some readers as they make it seem as though the romance progressed at a faster pace than it really did. The ending of the novel was great, with lots of action and fights and explosions, which you know I love. I was a little deflated by the very end, because I was internally groaning over the state of Cara and Aelyx’s relationship. I’m not sure I want to read the rest of the series for that reason. I’m not a fan of that kind of drama, if I’m honest. 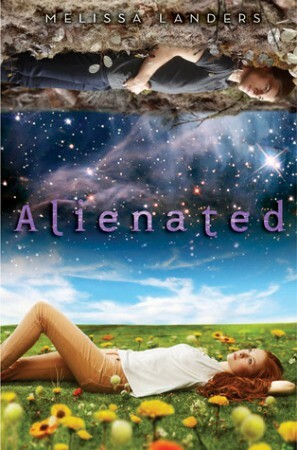 I would definitely recommend Alienated if you’re into light science fiction and cutesy romance. The high school drama that was thrown in there was pretty cool, and I’ll be considering reading the next book in the series if I hear good things about it. But, like I said, I’m worried and disappointed in the way Carlyx was left off, and that’s going to be a huge factor in whether or not I like the sequel. You know, the more I read your reviews, the more I think we like a lot of the same stuff! We both enjoy the Sky Chasers series, and we both love action and sci-fi! I’m going to have to make a habit of visiting your blog more often! I’m sad to see you didn’t love this one, since it sounds like a book I would love. Although I’m not a fan of relationship drama either, so if the story is heavy on the romance and that kind of stuff, I might not enjoy it too much either. I think I’ll still give this one a chance, but maybe wait and get it at the library. Great review! Congrats on your move to Word Press, BTW! I need to do that, too. I’m in the process of buying a house right now so money is tight but I’m definitely going to try to hire Ashley (from Nose Graze/Creative Whim) to move me over sometime in the summer. It just needs to be done! Hope the rest of your transition goes smoothly! We’re clearly book soulmates! Action and sci-fi is the way to go. It was still pretty enjoyable, just nothing profound, unfortunately. And yep, more action is what this book needed, rather than the romance-heavy plot. Thank you! It was soooo stressful, but I feel like I have finally got everything sorted out. But then again, as soon as I say that, something else is bound to go wrong. Hiring Ashley is probably a good idea, since I almost gave myself a heart attack when I did it myself. Good luck with buying your house! That’s pretty awesome. I enjoyed this one but I agree about some of the issues with it. I’m unsure of the second book though I went ahead and requested it anyway. I hope it is better than the first. I found it really easy to read and fun. I’m glad you enjoyed it for the most part. Yay to moving to WordPress! Is the second book on EW or NetGalley? I might consider requesting it. *pinches self* NO, Amber! You’re on a ban! 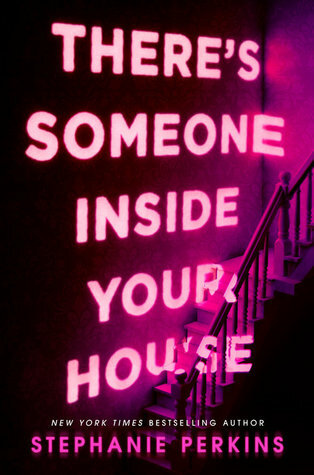 I hope it’s better than the first too, although I’m not against a light-hearted read. I enjoyed this read. I thought it was light and fast. I love Alien stuff! I wasn’t sucked in and dragged along like I would have liked to be, but I still want to see what the rest of the series holds for sure! I did enjoy this one, and part of the reason was because it was a bit light and fluffy. So many sci-fi novels are so dark that it was a nice change of pace and I did love the premise (so funny that this book came out and then you have the Starcrossed TV show with a similar premise). I’ll probably read the next one, but I do know what you mean about the ending, although I am curious about their world, so that should be good. Great review! I just ordered this one from my library. I hope it doesn’t disappoint… too much.